Hannah Hoes Van Buren was the wife of U.S. President Martin Van Buren. She was the first president’s wife to be born a U.S. citizen and not as a subject of the British crown. Because she died eighteen years before Van Buren became President (1837-1841), she is one of the most obscure of our First Ladies. Van Buren never remarried and was one of the few Presidents to be unmarried while in office. His new daughter-in-law Angelica Singleton Van Buren presided as the lady of the White House from 1839 until the end of his term. Hannah Hoes was born on March 8, 1783 in Kinderhook, New York to Johannes Dircksen Hoes and Maria Quakenbush Hoes who were of Dutch ancestry, and was raised on her family’s farm. Hannah was taught in a local Kinderhook school by master Vrouw Lange. Dutch was her first language and she never lost her distinct Dutch accent. Rebecca Flower Young was a Philadelphia flag maker during the American Revolution. She has been credited with making a flag that became known as the Grand Union Flag, which is considered our first national flag. 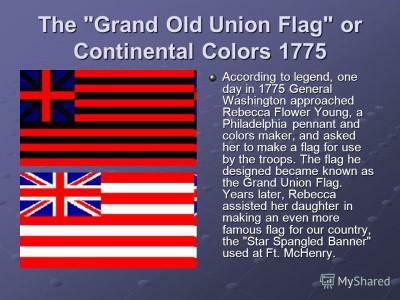 The flag she sewed had thirteen red and white stripes to symbolize the unity of the American colonies and the British Union Jack in the upper left hand corner. This flag was in use from late 1775 until mid 1777, making Young one of the earliest verified makers of the Flag of the United States. A group of spies known as the Culper Spy Ring operated from 1778 to 1780 in an intricate network from British-occupied New York City to Setauket, Long Island, north to Connecticut, and then west to George Washington’s headquarters at Newburgh, New York. Agent 355 was the code name of a female spy in the Culper Ring. Her real identity is unknown. The spy network was particularly effective in gathering valuable information from careless conversations between the British and their sympathizers. In 1778, Benjamin Tallmadge, a young American officer who was General George Washington’s new intelligence chief, organized an ingenious top-secret network of spies. Washington ordered that not even he himself should know who they were. For recruits, Tallmadge turned to old friends and acquaintances in his hometown of Setauket, Long Island. Louisa Johnson Adams was born in London, England – the only First Lady born outside of the United States. She met John Quincy Adams in 1794 when he was sent to England on a diplomatic mission, and they married shortly after his father, John Adams, became President. Their marriage was stormy and her mother-in-law, Abigail Adams, reportedly disapproved of Louisa. 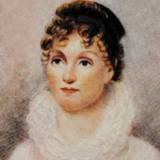 Louisa Catherine Johnson was born February 12, 1775 in London to Catherine Nuth Johnson, an Englishwoman, and Joshua Johnson, an American merchant who was serving as United States consulate general in London. The family moved to France when Louisa was three, where she completed her education. John Quincy Adams was born July 11, 1767 in Quincy, Massachusetts to famous parents, John and Abigail Adams. His relationship with his mother was rocky; she had high expectations of him. When he fell in love with Louisa, his mother disapproved. It has been said that this disapproval motivated him to marry Johnson, despite reservations that she, like his mother, was too strong. Louisa married John Quincy Adams on July 26, 1797, despite the disapproval of the groom’s mother. After the wedding the couple went to Berlin, where Adams was serving as Minister to Prussia. At the Prussian court Louisa displayed the style and grace of a diplomat’s lady. 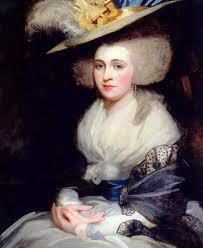 After several miscarriages, in 1801 Louisa Adams bore her first child, George Washington Adams. Louisa’s first time in America came in 1801 when John Quincy was called back from diplomatic service by President Thomas Jefferson. She finally met her in-laws, former president John Adams and the formidable Abigail Adams, at that time. John Quincy practiced law and in 1803 he was elected a U.S. Senator. Two more sons were born in Washington, DC. In 1809 Louisa left her two older sons to be educated in Massachusetts and took two-year-old Charles Francis to Russia, where Adams served as Minister to Russia. For nearly six years, from 1809–1815, Louisa and John Quincy lived in the Russian capital of St. Petersburg. She later blamed her long absence for the early deaths of her two older sons. Despite the glamour of the tsar’s court, Louisa struggled with cold winters, strange customs, limited funds and poor health; an infant daughter born in 1811 died the next year. Louisa took up writing to keep her mind from her grief. In all, Louisa Adams was pregnant fourteen times, miscarried nine times and one child was stillborn. In 1814, John Quincy was summoned to The Hague to participate in peace talks to end the War of 1812. While alone in Russia, Louisa managed the family’s affairs. 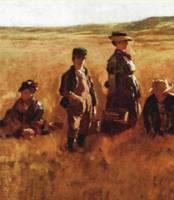 In 1815, Louisa and little Charles had to make a a risky 40-day journey across war-torn Europe to join her husband in Paris. Louisa’s courage and language skills helped the two of them find safe passage through unfamiliar and often dangerous lands. Happily, the next two years gave her an interlude of family life in England with their three sons. 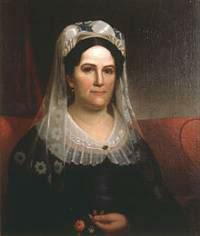 Anna Harrison, wife of the President William Henry Harrison, was First Lady of the United States during her husband’s one-month term in 1841, though she never entered the White House. She also holds the distinction of being the only First Lady to be wife of one president and grandmother of another: twenty-third president, Benjamin Harrison. She was born Anna Tuthill Symmes on July 25, 1775 at the family estate Solitude near Morristown, New Jersey to John Cleves Symmes and Anna Tuthill Symmes, who died the following year. Anna’s father was a Chief Justice of the New Jersey Supreme Court and later became a prominent landowner in southwestern Ohio. Because the Revolutionary War was beginning and the British were a threat to their New Jersey home, Judge Symmes disguised himself as a British soldier to carry Anna on horseback through the British lines to her maternal grandparents Henry and Phoebe Tuthill in Southhold, Long Island, where Anna grew up. She received an unusually broad education for a woman of the times, attending Clinton Academy at Easthampton, Long Island, and the Isabella Graham boarding school in New York City. John Symmes bought 311,682 acres from the Congress in 1788. President George Washington signed the patent on October 30, 1794 conveying to Symmes 248,250 acres plus a surveying township of 23,040 acres for an academy. This land was known as the Symmes Purchase, and was the cause of considerable controversy. The purchase price was $225,000, which he paid in notes issued by the Congress to raise money during the war. Symmes had lent most of his own money to the Revolution. In late 1794 Symmes remarried and decided to make a new home on land he had purchased after the Revolution in the Northwest Territory, which is now the state of Ohio. Anna and her new stepmother accompanied him, and they settled on his extensive land holdings at North Bend, Ohio, on the Ohio River west of Cincinnati. While the Symmes home was being built at North Bend, Anna and her stepmother lived with Anna’s married sister in Lexington, Kentucky. In the spring of 1795, Anna met William Henry Harrison, then a young soldier stationed at nearby Fort Washington. Though the young man came from a prestigious Virginia family, Judge Symmes disapproved because he wanted to spare his daughter the hardships of army life at frontier outposts. However, the courtship continued without his knowledge. On November 25, 1795, a clandestine marriage united Anna Symmes and Lt. William Henry Harrison at the home of Dr. Stephen Wood at North Bend, while her father was away on business. The couple honeymooned at Fort Washington, where Harrison was still on duty. Mary Kies was an early 19th-century American who received the first patent granted to a woman by the United States Patent and Trademark Office, on May 5, 1809. 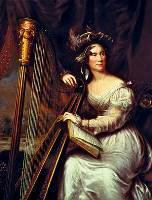 Kies had invented a new technique for weaving straw with silk or thread, and First Lady Dolley Madison praised her for boosting the nation’s hat industry. Unfortunately, the patent file was destroyed in the great Patent Office fire in 1836. She was born Mary Dixon in Killingly, Connecticut on March 21, 1752, the daughter of John and Janet Kennedy Dixon. Mary married Isaac Pike I, and had a son Isaac Pike II. After his death she married John Kies. Prior to 1790, only men could author a patent. The Patent Act of 1790 opened the door for any male or female to protect his or her invention with a patent. However, because in many states women could not legally own property independent of their husbands, many women inventors did not bother to patent their new inventions. For example, there is much speculation that the authorship of the cotton gin patent of 1794 by Eli Whitney should have included Catherine Littlefield Greene on the patent, as well as that of the African American slaves who were not allowed to author a patent. Mary Kies was not the first American woman to improve hat making. 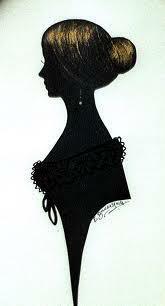 In 1798, New Englander Betsy Metcalf invented a method of braiding straw which became very popular. Metcalf employed many women to make her hats, but she did not patent her process. When asked why, Metcalf said she did not want her name being sent to Congress. During this time, the U.S. government had stopped importing European goods. Napolean was at war with many nations of Europe at the time, and he tried to win the war by blocking trade and hurting his enemies economically. The United States did not want to be drawn into this conflict. The U.S. government had just begun to encourage domestic manufacturing, and President James Madison was looking to American industries to replace the lost European goods. Hat making was a vital industry in America during this time period because women wore straw hats to work in the field. 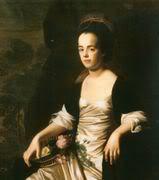 Judith Sargent Murray was a poet and playwright, and the most prominent woman essayist of the eighteenth century. She was also among America’s earliest champions of financial independence and equal rights for women. She argued forcefully for improved female education and for women to be allowed a public voice. Judith Sargent was born May 5, 1751 in Gloucester, Massachusetts, to the wealthy merchant family of Winthrop and Judith Saunders Sargent. Contrary to Sargent family legend, Judith did not study alongside her brother Winthrop while he was tutored to enter Harvard. Although she considered herself as capable as her brother, her parents provided a typical education for a merchant-class daughter – reading, writing and training in the domestic skills of sewing and household management to prepare her for married life. Judith never forgot the discrepancies between male and female education she had experienced. She believed that with quality education women’s accomplishments would equal those of men’s if parents raised their daughters to “reverence themselves,” as she put it in one of her essays. The Sargent family library was vast, which allowed her to read history, philosophy, geography, and literature. Like most children in Gloucester, Judith was raised in First Parish Church whose Congregational ministers ruled religious and civic life. She learned that only a few people were predestined for heaven, while most would spend eternity in hell. In 1769, Judith fulfilled the one role expected of her and married John Stevens, a well-to-do ship’s captain from a prominent Gloucester family who spent most of his time at sea. The young couple resided with John’s parents until they could build a house of their own, allowing Judith to live within a short distance of the Sargent and Saunders homes. The couple had no children. In 1770, Judith’s father Winthrop Sargent read James Relly’s book, Union. Relly’s Universalism was characterized by its doctrine of universal salvation – that all of humankind could be saved, not just the elect. It was a radical departure from traditional doctrine, and Judith was among those who embraced Relly’s hopeful view of this world and the hereafter. In 1774, when Winthrop Sargent learned that one of Relly’s proteges British Universalist preacher John Murray was lecturing in Boston, he invited him to visit Gloucester. On November 3, John Murray visited the Sargent family home where Judith met him for the first time. She knew right away that in Murray she had found a mentor, spiritual teacher and intellectual companion. Judith was among the group of people of Gloucester, led by her father, who first embraced this liberal religious belief, and her father provided financial support for Murray’s work. While Murray moved to Gloucester shortly thereafter, he traveled frequently to other parts of New England. Judith asked Murray if he would like to correspond with her and he accepted. Betty Washington (1733–1797) was the first and only daughter to live to adulthood of Augustine and Mary Ball Washington, and the younger Sister of President George Washington, who was born in 1732. Betty and George grew up at Ferry Farm, across the Rappahannock River from Fredericksburg, Virginia. She was born Elizabeth Washington on June 20, 1733, at Little Hunting Creek (later named Mt. Vernon) in northern Virginia. In addition to George, Betty had three younger brothers: Samuel, John Augustine and Charles and two half brothers by her father’s first marriage, Lawrence and Augustine Jr. When Betty was five years old, Augustine Washington moved his family to the 600-acre Ferry Farm near Fredericksburg, for the community life and the educational advantages it offered. This was one of several farms owned by her parents. Her mother had brought several properties to the marriage as her dowry. Here the Washington children grew up and received their education – Betty at a “Dame School” and George under the tutelage of Parson Marye. Betty and George were especially close because of their nearness of age and their similarity in personality and character. After her father’s death in 1743, life became difficult for Betty and the family because of their financial situation. In 1754, her brother George moved to Mount Vernon while their mother, Mary Ball Washington, stayed on at the farm until 1772, when she moved to Fredericksburg to be closer to Betty. In 1750, at age 16, Betty married Fielding Lewis, a wealthy and prominent businessman in the nearby village of Fredericksburg. Her wealth and social status increased, and she immediately became stepmother to two young children from Fielding’s first marriage. Fielding Lewis was born July 7, 1725, at Warner Hall in Gloucester County, Virginia, to John and Frances Fielding Lewis, the third of seven children. His uncle Robert Lewis was the grandfather of famed explorer Meriwether Lewis. Lewis owned and leased ships that carried tobacco, produce, wood products and European-made goods to the West Indies, then returned to Virginia with fruit, sugar and salt, rum and occasionally slaves. Profits from trade were good because Fredericksburg was close to the wealth of the Virginia Piedmont. After the wedding, Betty moved into a large brick house in Fredericksburg where she and Fielding lived together for the next 25 years. In 1751, Betty gave birth to their first child, Fielding Jr., followed by ten more children over a twenty-year period. Only six children survived to adulthood. October is recognized as National Breast Cancer Awareness Month. The primary purpose is to promote regular mammograms as the most effective way to save lives by detecting breast cancer at its early stages. 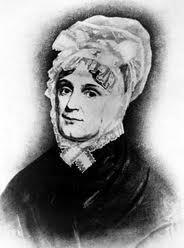 Nabby Adams Smith (1765-1813), daughter of John and Abigail Adams, was diagnosed with breast cancer at the age of 45. Of course, she had none of the advantages we now have to help her fight the disease. Nabby was shy and somewhat withdrawn, but a striking woman, with long red hair, a round face, deep-blue eyes and a porcelain complexion. She commanded respect simply because of the quality of her mind and her unfailing dignity. Abigail Amelia Adams was born in Braintree, Massachusetts, on July 14, 1765, the firstborn of Abigail Adams, the most prominent woman in early American society, and John Adams, Founding Father and second President of the United States. They began calling her “Nabby” when she was still a baby. By age 10 Nabby was a mature girl and helped her mother with farm chores while her father and brother were away on diplomatic missions. In 1785, while John Adams was the U.S. minister to Great Britain, he called for Abigail and Nabby to join him in London. Shortly afterward Nabby met William Stephens Smith, who was serving as her father’s secretary. Born on Long Island, New York, in 1755, Smith had graduated from Princeton University in 1774. William Smith had served in the Revolutionary War as an aide-de-camp and fought in several battles in New York and New Jersey: the Battles of Long Island, Harlem Heights, White Plains, Trenton and Monmouth. He was on the staff of General Lafayette in 1780 and 1781, then transferred to the staff of . Though he was 10 years her senior, Nabby married William Smith at the American minister’s residence in London on June 12, 1786. In the spring of 1787, Nabby’s first son, William Steuben, was born. Three more children followed, all born in New York: John Adams, Thomas (who died at age one), and Caroline Amelia. Nabby did, however, become more involved in society after the arrival of her parents in New York City when John Adams became vice president to George Washington in 1789. That same year, President Washington appointed William Smith the first United States Marshal for the District of New York, which brought him into the company of high-ranking officials. Accordingly, the Smiths dined with the Washingtons at least once a week, often sharing the company of Governor and Mrs. Clinton of New York and others. However, the socializing was short-lived; when the new government moved to Philadelphia in 1790, William and Nabby, with their three children, remained in New York. While William Smith had seemed a suitable husband at first, he proved to be “wholly devoid of judgment,” in Abigail’s words. Abandoned on numerous occasions while her husband went “seeking his fortune”, Nabby showed herself to be a true child of her parents, strong-willed, uncomplaining and able to keep herself and her children together under one roof, earning the unstinting respect of John and Abigail and of her brother John Quincy. Smith became involved in a series of speculative ventures that led to constant financial difficulties for his family. Nabby’s parents used their influence when possible to obtain government jobs for William, but this did not keep their daughter from poverty. Although William financial decisions were poor, to say the least, Nabby was devoted to him.